Enjoyed a wonderful snow cone today. 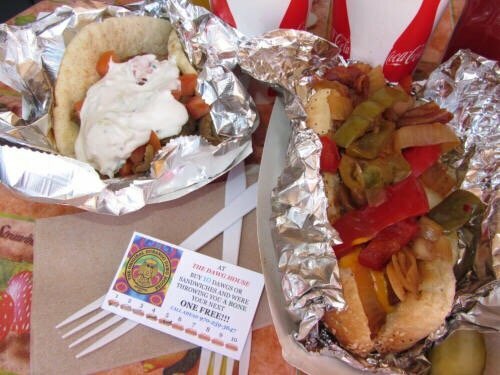 I will be back to try the Gyros as they looked amazing. Snow cone had nice cup, great shaved it and you could mix all the standard flavors. 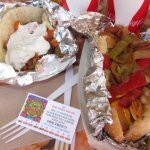 Dogs and Fries, Gluten Free - Wow! Great variety of dawgs & other sandwiches. We stopped by to try their hotdogs & were not disappointed. They have a few picnic tables to eat at. We just stopped by for a drink and to rest. The staff was great. We did not eat, but we had 'food envy' just seeing what they served. Best Gyro I've Ever Had!! I am a student at Ft Lewis College and this place has become me and my friends go toon the weekends and they stay open till 2am!! Best food great ppl!! 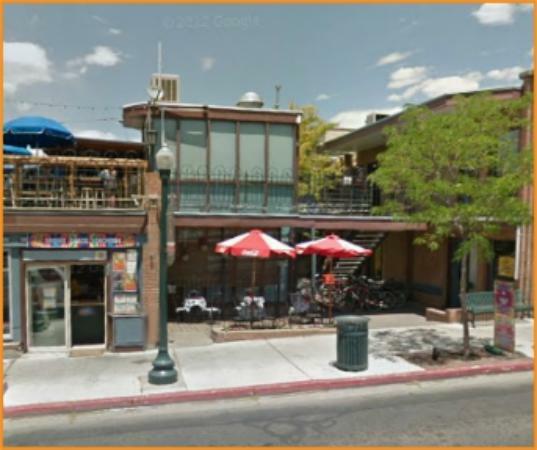 Cheapest eats in Durango and very friendly staff. 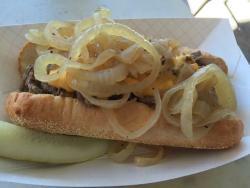 Many variations on a hot dog available although I prefer the simple mustard with onions style. Late night favorite with hard-partying locals in the heart of downtown. Best hot dogs and fries in Durango! The Dawg House has so many choices you'll want to come back time and again! They are the best hot dogs I've had anywhere, even in Chicago! Fast friendly service, and nice outdoor eating area! Really good Maryland style fries with malt vinegar! I went with friends and a couple young kids. Everybody enjoyed lunch. Friendly people and quick affordable tasty food. 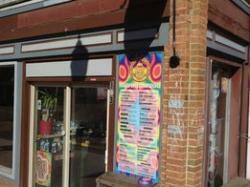 I suggest dropping by on a sunny afternoon. 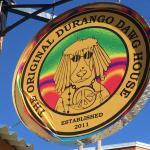 Get quick answers from The Original Durango Dawg House staff and past visitors.